Cindy Sheehan said Sunday that she plans to run against House Speaker Nancy Pelosi unless Pelosi introduces articles of impeachment against President Bush in the next two weeks. Sheehan, the mother of Army Spc. Casey Sheehan, who was killed in Iraq after reenlisting for a second tour of duty, said she will oppose the San Francisco Democrat in 2008 as an independent if Pelosi does not seek to impeach Bush by July 23. She has been an avid anti-war protester and Bush critic since her son's death. "Democrats and Americans feel betrayed by the Democratic leadership," she told The Associated Press. "We hired them to bring an end to the war. I'm not too far from San Francisco, so it wouldn't be too big of a move for me. I would give her a run for her money." 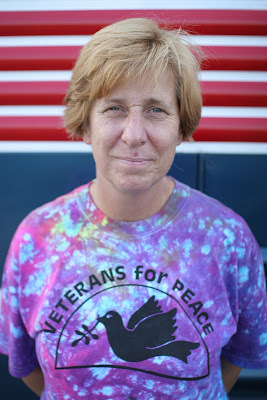 The fifty year-old Sheehan, who recently said that she was leaving the Democratic Party because it "caved" in to the president, said Bush should be impeached because she believes he misled the public about the reasons for going to war, violated the Geneva Convention by torturing detainees, and crossed the line by commuting the prison sentence of former vice presidential aide I. Lewis "Scooter" Libby. She said other grounds for impeachment are the domestic spying program and the "inadequate and tragic" response to Hurricane Katrina.